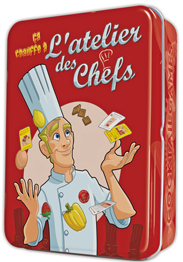 L’atelier des Chefs este un joc de societate gandit de Cyril Blondel si va fi publicat de Cocktail Games in 2011. Este un joc pentru 2 – 6 jucatori. You are currently browsing the archives for the L’atelier des Chefs category.